Marvellous for that maestro! 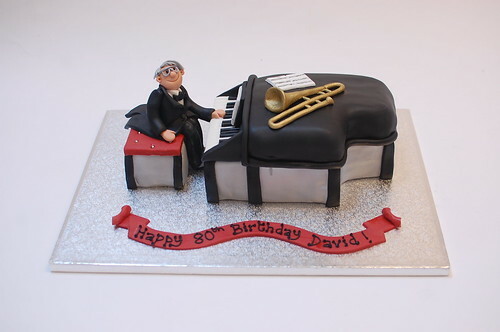 The Grand Piano and Trombone Cake – from £90. WOW! When the cake was brought out after lunch by the restaurant staff, my friend was absolutely speechless – mind you, he thinks he looks great for 80 and thought his new crop of hair was absolutely fantastic! There wasn’t a dry eye in the place. Thank you so much for helping to make such a great occasion so very special.x.